I’m going camping this weekend at Henry Coe State Park! My fellowship group decided to take a weekend trip together, and we chose the great outdoors. If you’ve been reading along you know I love camping! Can’t wait to get away from technology, snuggle into my sleeping bag, and read. Oh yup, you already know food is a big, hu-mun-go part of camping. As usual, I’m in charge of groceries. There’s going to be some good eats! We’re going to be a group of 13. 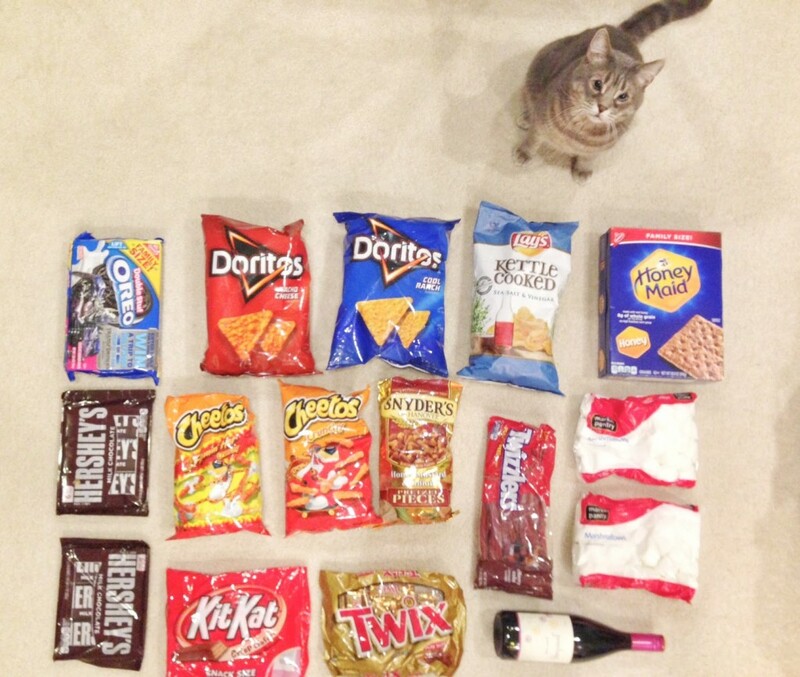 I love shopping for medium/large groups because there’s such a wide selection of things to choose from. It’s also fun for me to keep costs to a minimum when it comes to that many people. Challenge accepted. I love it! 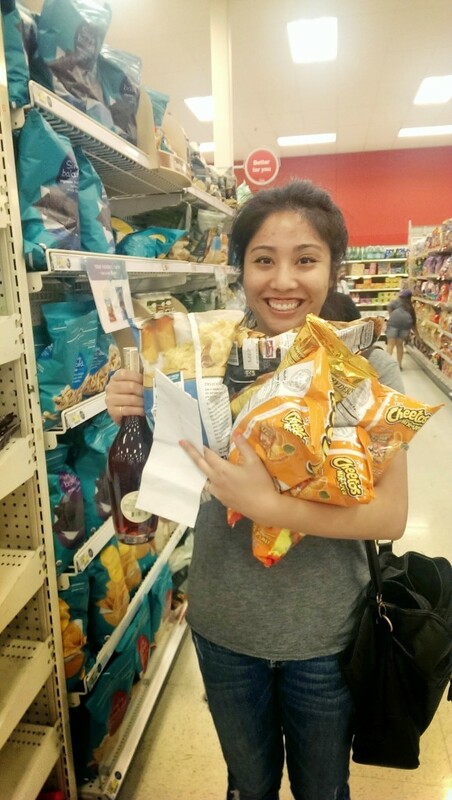 I went shopping for snacks today at Target. Lots of goodies. It’s like a kid at a candy store! For drinks we got Anchor Steam, Pinot Noir, Gatorade, Water, and Dr. Pepper. I even made brownies for dessert for tomorrow night! Camping in Big Sur! Hottest Camping Weekend Ever! Camping at Mt. Diablo Hiking With Doggies! 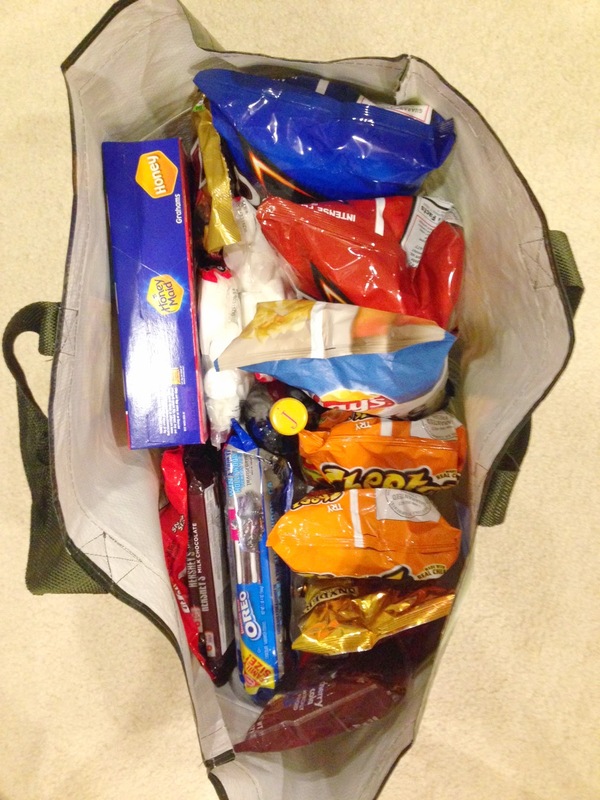 This entry was posted in Life and tagged camping, life, preparation, snacks, target. Bookmark the permalink.